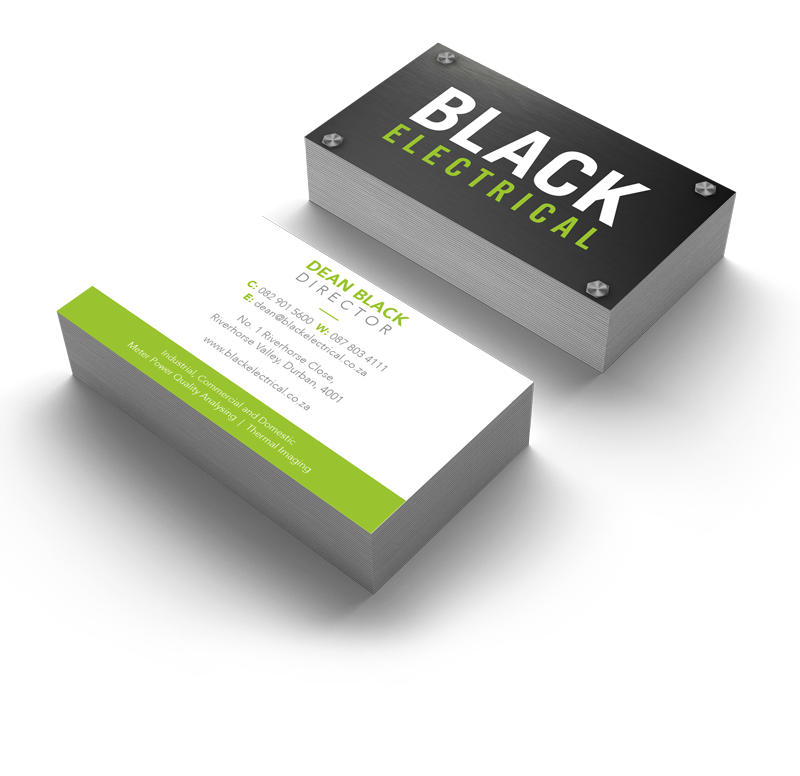 Black Electrical are experts in electrical installations & maintenance. They offer electrical inspections of faulty or unsafe electrical installations, ranging from small to large residential properties, including industrial factories as well as warehouses throughout South Africa.Black Electrical assist customers in achieving the appropriate solution for their business or residence at the most competitive pricing, whilst maintaining the highest standard of workmanship. TNNG developed and designed the Black Electrical logo, followed by standard corporate identity elements.